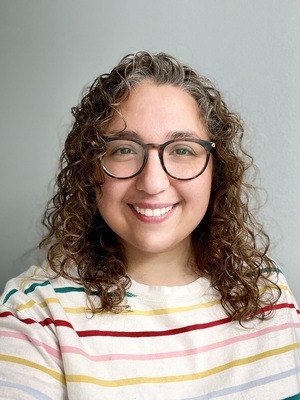 ﻿Emily Valentine is a graduate of The Ohio State University’s MFA Design Research and Development program where she also received a specialization in aging. She also holds a BS Interior Design and Business Administration minor from High Point University. She co-founded The Center for Inclusive Aging and Design Research where she researches and addresses design-related needs of the aging population. Her research has focused on senior living, lighting, and older adults’ experiences of their environments. She has been published in design journals and presented at numerous academic and professional design and aging conferences. Emily lectures at Ohio State in the Department of Design’s foundations curriculum and has guest lectured for the department’s interior design courses and for the School of Health and Rehabilitation Sciences. On her down time, you can find Emily with her husband cooking, baking, and taking walks with their dog.